Mindfulness is the easy way to gently let go of stress and be in the moment. It has fast become the slow way to manage the modern world - without chanting mantras or setting aside hours of time for meditation. 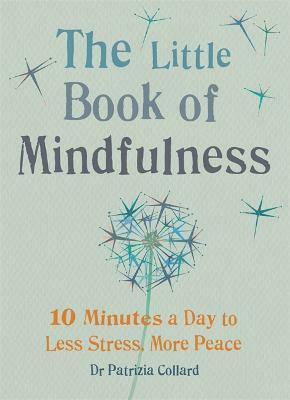 Dr Patrizia Collard is a psychotherapist, mindfulness teacher, stress management consultant and lecturer in psychotherapy at the University of East London. Her books include Journey into Mindfulness, Mindfulness-based Cognitive Behavioural Therapy for Dummies and Awakening the Compassionate Mind (2014). Dr Collard lives in South London.